More than 40 percent of wealthy individuals under the age of 50 see social media as being an important communication channel for their banks, according to New York Times. 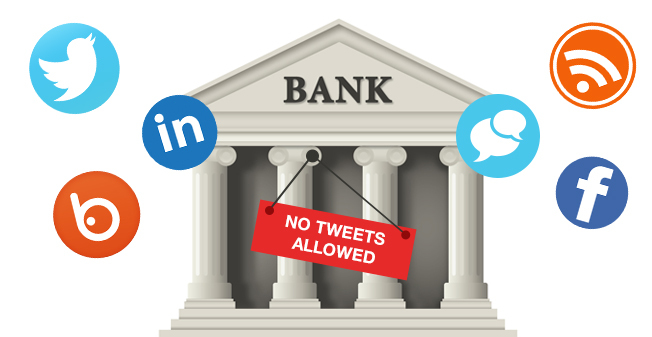 Yet a recent survey done by Assetinum, a wealth management company, revealed that most of the top 50 banks are well behind other companies in their use of social media. Social media allows banks to gain additional customer insight, to build communities by strengthening relationships, and to stand above the competition. Building virtual communities is something banks should focus more on. Customers want to have a relationship with their bank because they rely on the bank during many of life’s important milestones, be it attending college, buying a house, or getting a loan to start a business. Banks that listen to customer demand and utilize social media will inevitably gain a competitive edge. For banks that are willing to innovate, it’s an immense opportunity! Social media offers banks an inexpensive way to build virtual communities and connect with consumers by promoting events, highlighting sponsors, demonstrating transparency, and strengthening their brand. Only social media provides large, nationwide banks with the means to directly address local communities that they serve. On the other hand, small banks can tap into social media to grow their business, focus on local issues, and present themselves as a welcome alternative to large banks who don’t seem to care about individual customers. A paradigm shift among banks is in the works. Don’t get left in the past! Let your customers know your bank is there for them. Together we can build you a tailored social media campaign that harnesses the power of social media platforms.